A recent Sunday ride found us traveling the Cookson Hills near Tahlequah, Oklahoma. Passing through the community of Park Hill reminded me that I had never visited the Cherokee Heritage Center. As a lifelong Okie, and card-carrying member of the Cherokee Nation, it was a little embarrassing to admit I'd never visited this historic site. So Jackie and I veered off US-62 and I prepared to get in touch with my Cherokee heritage. All 1/8th of it. 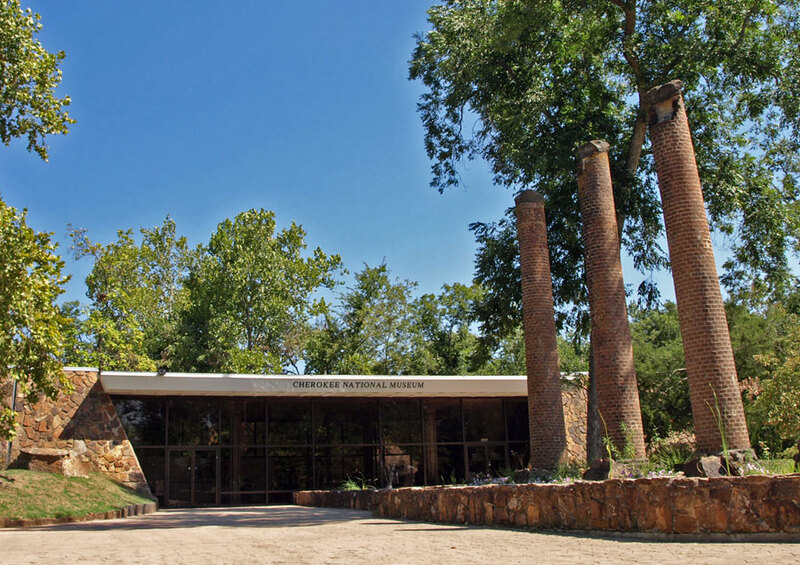 The Cherokee Heritage Center is located about 6 miles south of Tahlequah in Park Hill. The location was once the site of the Cherokee Female Seminary, a progressive institution of higher learning that opened in 1850. A fire destroyed the original building in 1887 and all that remains are three brick columns. Today they stand at the entrance of the Cherokee National Museum. The best known attraction here is the Ancient Village. Once known as Tsa-La-Gi (which is Cherokee in, well... Cherokee) this "living history" concept took shape beginning in 1966. The Ancient Village offers us a glimpse of what Cherokee life was like hundreds of years ago. Based on factual accounts and historical records, the exhibit features tribal members making stone tools, playing stick ball and practicing their skill with a blow gun. Built in 1974, the museum serves as a genealogy center, art gallery, gift shop and exhibit space. The museum also houses a permanent Trail of Tears exhibit that documents the ruthless eviction and removal of Native Americans from their homes in the Southeast. It's an emotional display featuring interactive exhibits and first-hand accounts written by survivors of the ordeal. Behind the museum is Adams Corner, a re-creation of a rural village in Indian Territory. Seven main buildings offer a glimpse of Cherokee life circa 1890. A self-guided tour explains what life was like over a hundred years ago before Oklahoma became a state. No explanation is offered for the talking baskets that mysteriously begin yacking when you enter a room. We were only able to spend a couple of hours before closing time ran us off. But it was a great visit- even if it was a little overdue. 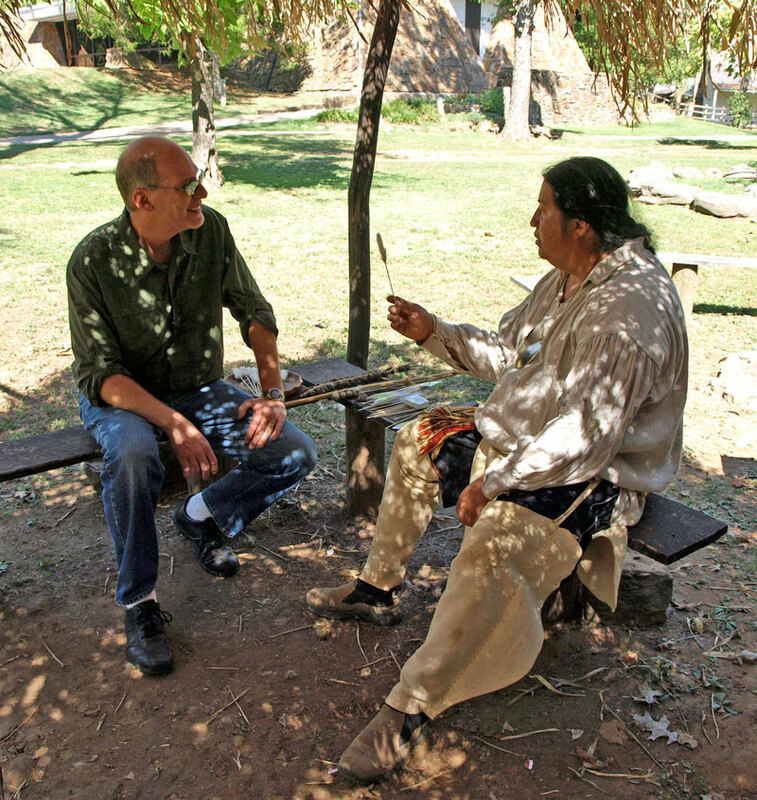 Learn more about the Cherokee Heritage Center at www.cherokeeheritage.org.